The photograph taken by Kuala Lumpur-based photographer AbedenMung went viral, reminded many of the 'Afghan Girl'. Dhaka: History repeats itself yet again and shoots another individual, just going about his daily life, to fame. 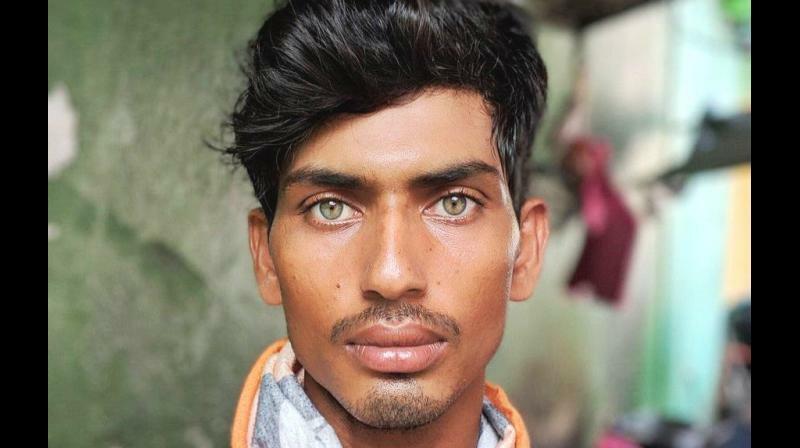 A close-up photograph of a Bangladeshi construction worker in Malaysian capital of Kuala Lumpur has caught the attention of social media users all over the globe. The profile shot highlights the worker’s light eyes and chiselled features, staring intently into the camera, as reported by The Daily Star Bangladesh. The photograph has garnered more than 24,500 retweets and 68,700 likes since it was posted by AbedenMung on Twitter on March 21. Kuala Lumpur-based photographer AbedenMung stated that the photograph was taken at a construction site in the Malaysian capital in his tweet. "He was very shy. He didn't really know where to look at, maybe because this is a phone? I pointed to the camera many times and many shots were not good. It was only until he truly looked at the camera. I finally got it. Isn't he beautiful?" he tweeted. Many Twitter users found the man's chiselled features very appealing. Some even commented on how the photograph reminded them of the 1984 National Geographic cover of Sharbat Gula, taken by journalist Steve McCurry. Sharbat Gula, known as the ‘Afghan Girl’, was wearing a red headscarf and had similar striking green eyes staring intensely into the camera. The case of the ‘Afghan Girl’ was certainly one of what one would call “going viral” in the contemporary digital age and it was one of those iconic photographs that defined the times. It acquired that level of popularity and iconic stature back in the old days, when print dominated the communication and media. This photograph of the Bangladeshi construction worker trending on social media, whose name is not known of as yet, is proof of how social media has revolutionalised our communication and how it has made it more common for individuals to acquire such accidental fame.